I found God in the Holy Land last week. That may not come as a great surprise given the history of that special part of the world which is home to the Abrahamic faiths of Judaism, Christianity and Islam. However, while I did find traces of God’s presence in the sights and sounds of the Holy places and shrines, and in the regular Muslim call to prayer and the intercession made at the Western Wall in Jerusalem, it was elsewhere that I was overwhelmed by the reality of love. It was in the presence of the former Israeli soldier who once persecuted a people he now works to protect despite the odium heaped on him and his fellow former soldiers by his government and who said, ‘We are losing now but we will win’. It was in the presence of the Palestinian Christian farmer who is under siege by others claiming that God has given them his land but who will not hate them while persevering to preserve his ancestral olive groves. 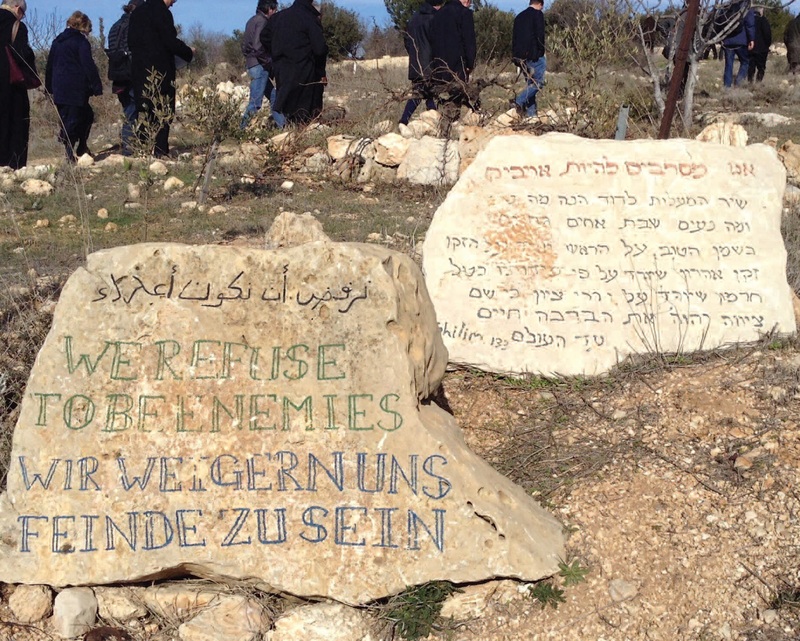 ‘We refuse to be enemies’ he has written in stone at the entrance to his property. It was in the presence of the frail bishop leading our little group who walked every stony path and smiled at every hope-filled face that came his way. 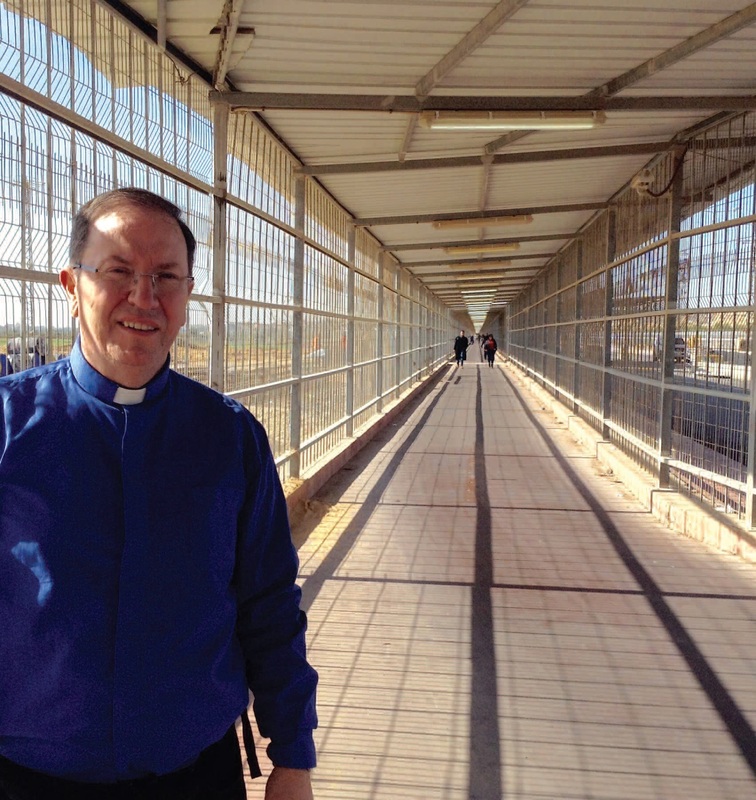 It was in the presence of the Missionaries of Charity who care for abandoned special needs children and adults on the streets of Gaza and the wondrous L’Arche community in Bethlehem who similarly care for special children in their area. Yes, despite the political tumult God is found in the Holy Land as God always has been, in still, small voices.